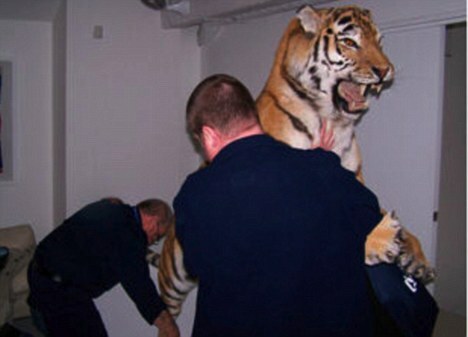 • A stuffed tiger on display in a London art gallery was once used alive by Alexander McQueen in a Puma ad last year. The stuffed tiger has been seized by Scotland Yard's Wildlife Crime Unit under allegations that it was murdered for profit.Hint Magazine has the full article involving arrests, endangered species, and a crackdown on the illegal animal trade bizarrely code-named Operation Charm. 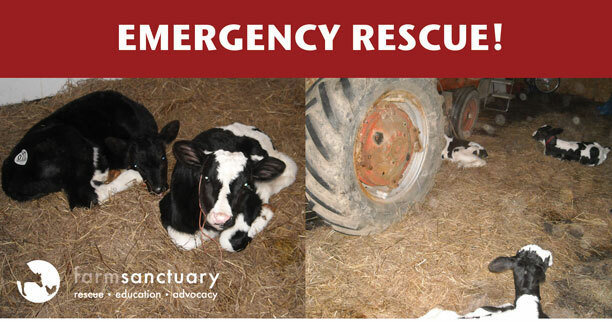 • Starving Calves tied to a tractor and left to die were rescued by Farm Sanctuary two nights ago. Due to their dire condition, the calves were administered emergency electrolytes while in transit to Cornell University Animal Hospital, where they received urgent medical attention. If you would like to help supply urgent funds to help them, click here. • Matt & Natt has some more new vegan accessories for men featuring recycled-soda-bottle faux-suede lining. 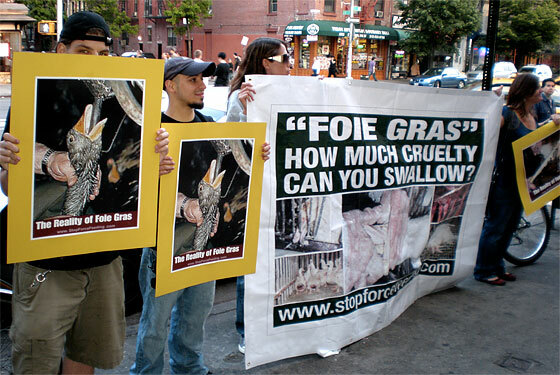 • Activists from the Animal Protection & Rescue League will descend upon Telepan, a restaurant that claims to care about animals, on March 27 from 7 p.m. till 9 p.m to protest the restaurant's selling of Foie Gras, a cruel product made by of force-feeding geese through a pipe until their livers become diseased and grow to 12-times their normal size. New York Magazine's Grub-Street cover's the story in their typically snarky way. Please go and leave comments in response to things in the comment section like "I've seen geese "force-fed" several times, and they loved every minute of it...I don't think I've ever seen happier geese" or "The Center for Constitutional Rights said...." or "They should try some foie gras, maybe they wouldn't be as cranky..." or "I suppose we could respect each other's decisions." Hasn't some genius invented a soundboard to respond to the same stupid things over and over? I feel like a broken record half the time.